“We’re a week out from Destiny, and as much hype as this game is garnering, people don’t realize how much is riding on it. Read this loud and clear, Destiny won GOTY 2014 when it was revealed at Sony’s PS4 conference in February of 2013, and it is going to be one of the most important games of this generation. Destiny is the culmination of Bungie’s vision and Activison’s wallet. It’s a franchise that is contracted to last 10 years through a series of games and other products. You need to realize that Destiny is in fact the next big thing. There isn’t much to say about the game itself that hasn’t already been said for the past 17 months, but I can tell you that after extensive playtime with both the Alpha and Beta of this game, it is going to revolutionize the way single player and multiplayer are molded on consoles. 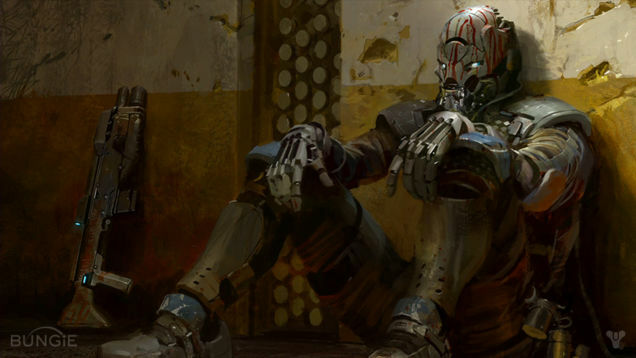 Yes there are already MMO’s on the consoles, F2P and P2P, but Destiny is not a MMO game. It is a “shared-online-experience” game, similar to how The Division (another game that has a lot riding on its shoulders) is going to be. These are always online games that cater to the core of teamwork, but can be played almost entirely solo (I am a solo player myself in MMOs, word to Kirito from SAO). Believe me when I say that Destiny will spawn a new era of shared-online-experiences where we get all of the benefits of an MMO without any of the major drawbacks, such as subscriptions and server queues. If there is anything that you should take away from this article, it’s this. If the game is not a day one purchase for you or you are undecided, by the time this game has sunk its teeth into our consoles and steadily placed its foothold on them, you will more than likely find yourself playing it. Yes I said it. Unless you are 100% against FPS of any kind, I can assure you that as against the game as you think you are, you will only be able to hold out after so many Twitch sessions and #PS4Share posts. You will not be able to resist the allure for this game. It is going to be that good. Not to throw any jabs, but this is the sort of hype (though to a much lesser extent) that Titanfall received. What people didn’t understand about that game, is that at the end of the day, it was a MP only title that could only hold attention for so long. It was not meant to revamp the FPS genre, but instead to inject some much needed freshness into it. And that’s exactly what it did. And the future military FPS titles will be better for it (do not bring up CoD: AW, that game was in production before Titanfall and more closely resembles Crysis than TF). The destiny that is in store for Destiny (yes, I just did that, fight me) is as simple as this. Either this game will go on to be the sweetheart of the media like the original Halo trilogy is (sorry Halo 4, but no) for years to come, or it will be a “good job, good effort” thing that people just remember as the #1 pick on the numerous “Most Overhyped Games of the Last Generation” articles that will pop up. There is no in between for this game, that’s how much is riding on it’s shoulders. But that’s perfectly ok, because Bungie is at the helm, and Activision is footing the bill (and that seems to be all they’re doing, as the IP is Bungie’s, which is great news). Destiny’s “The Taken King” expansion launches in 2 weeks, and it brings with it massive changes to the fundamentals of Destiny. One can only imagine what will happen with the true “sequel” releases next year.